From Queen of hills to City Beautiful. Chandigarh is the capital city of Haryana and Punjab. It is the very first planned city in the country post-independence. The city is located at the foothills of Shivalik range hence the city has a pleasant climate throughout the year. Because of the climate, most people like visiting Chandigarh for a change from their daily lives. Travelling to Chandigarh from Shimla by car rental service is one of the best ways, it helps in saving a huge amount of time and money as well. You also get to reach your destination comfortably. At WooCabs, we offer the best car rental service in the country at a very cheap and affordable rate. Our drivers are well experienced hence you will have full safety on the road. We offer cars for people travelling in groups and also for people looking for a luxury travel option. To book Shimla to Chandigarh cab, you just need to visit our website or download our mobile application. Both our mobile application and website are very user-friendly and we also keep updating them from time to time in order to improve our customer satisfaction. We also have a customer service number where you can call for discussing regarding any issue that you might be facing with our service or for booking a car rental service. To get in touch with our customer service agents dial (+91) 9779-390039. By choosing a car rental service for travelling to Chandigarh from Shimla, you will be able to skip all hassles included in public transportation. We at WooCabs offer the best car rental service in the country in terms of the variety of cars that we offer to our customers and our low-price range. On your way to Chandigarh from Shimla, you can stop at any of the famous food joints, have food and then start again once you are refreshed. 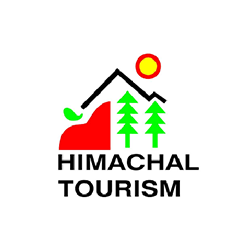 When it comes to offering a wide variety of cars to our customers for their Shimla to Chandigarh one way taxi service or round trip, we are always the best. Most of our customers request for Indica and Innova, however, we also offer luxury cars for people looking for luxury travel. Below we have shared all the details regarding the car rental service that we offer, keep reading to know everything in details! We offer the best deals to our customers to ensure they get the best for the price they are paying. We have curated all our packages keeping mind all the travel needs of our customers. We make sure all our Shimla to Chandigarh car rental service packages is extremely minimal. You can choose the package that suits your itineraries for the day. Once you are done the complete booking process, you will receive an email from our side stating all details regarding your package. Alternatively, if you book your car rental service using our mobile application, you will receive an automated notification. Our basic fare for travelling one kilometre is Rs 9. The fare is always calculated by calculating the basic fare per kilometre with the total distance travelled. However, there are some other factors as well which affect the total bill. We also follow a complete transparent billing policy, keep reading to know how we bill our customers. Driver’s allowance: This is pretty simple and only comprises of the driver’s food and expense. It is calculated by multiplying the number of days a rental taxi is hired for with the basic expense needed for the driver for the trip. Why book car rental service from WooCabs? If you are looking for an affordable Shimla to Chandigarh one way cab service or a round trip, you are at the right place. We offer the best service to our customers at a very reasonable price range. Our drivers are well-experienced and assure complete safety on the road. We make sure that you reach your destination on time and take the route with less traffic.